Don’t look now, but yet another 1980s TV series is being adapted for the big screen, and this time it’s THE EQUALIZER, the show about former government agent Robert McCall (Edward Woodward) who helped people in dire straights equalize the odds. This movie promises to… change the way you look at wine forever? The update stars Denzel Washington as a former black ops commando who faked his own death and lives quietly in Boston. But when a young girl (Chloë Grace Moretz) finds herself in trouble, McCall comes out of retirement to rescue her and face down the Russian mob. The update reteams star Washington with director Antoine Fuqua, who guided the intense actor to an Oscar for 2001’s Training Day. First Look at the New TV Flash! 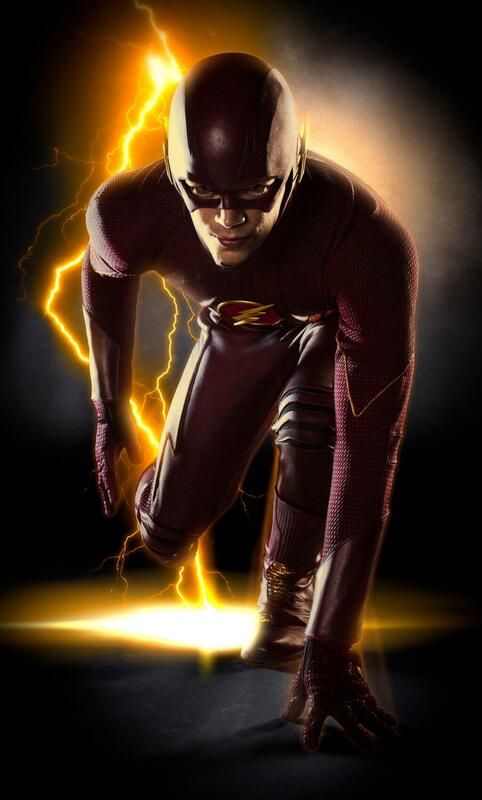 When Grant Gustin (GLEE) makes his costumed debut as DC Comics’ Flash, “the fastest man alive,” in THE FLASH, the live-action pilot ordered by The CW, this is what he will be wearing. From the neck up, it looks similar to the usual Flash costume, though the red is much darker, and the material looks leathery — which does not thrill me because it reminds me of the dreaded Daredevil movie! Ugh. The lightning bolts on the ears are a marked change from the wings Flash sports on the comics page. The super duds were designed by Colleen Atwood, who won Oscars for Alice in Wonderland (2011), Memoirs of a Geisha (2006) and Chicago (2003), so she knows her stuff! And it least it looks nothing like the abomination that was Green Lantern’s costume back in 2010. Or even Wonder Woman’s fighting togs in her abortive new TV pilot — or even her comic book redesign. 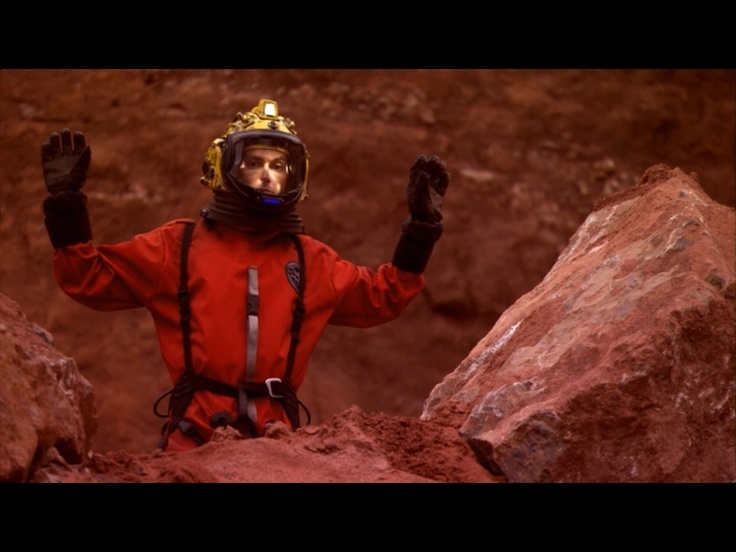 It may not be surprising to learn that — at least initially — series eight of DOCTOR WHO is taking a decidedly darker turn; after all, the first two, template-setting episodes are being directed by Ben Wheatley, who is probably best known for the black-and-white horror film A Field in England. 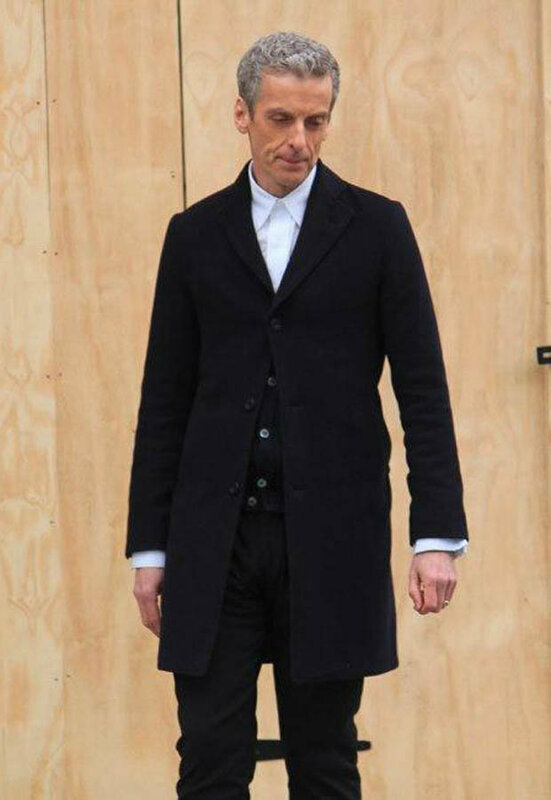 It’s hardly surprising that we know next to nothing about DOCTOR WHO series eight — which just started shooting for a probably fall debut — but at least we know something about Peter Capaldi‘s debut season as the 12th Doctor. Cap and the Falcon leap into action! Next time, send more men! Look for CA:TWS in theaters April 4.